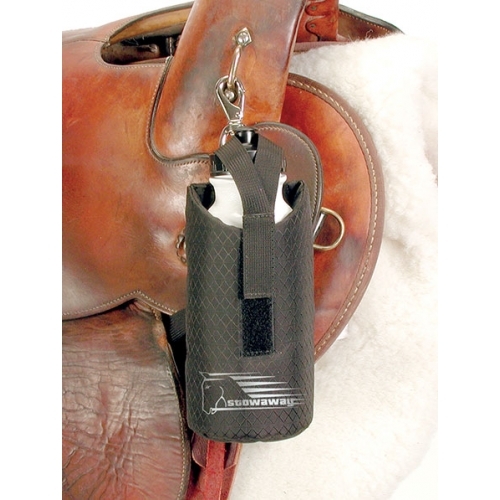 This water bottle and holder are a must have for all trail and endurance riders. 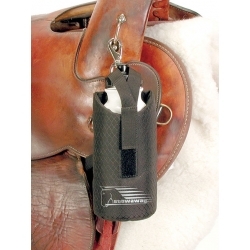 In durable fabric with a convenient clip it will easily fit onto any saddle or jacket. The water bottle will hold 20oz and with a velcro strap to hold it in place it will give easy access too!